Don't be stopped because you have never done or don't know how to do a particular activity. 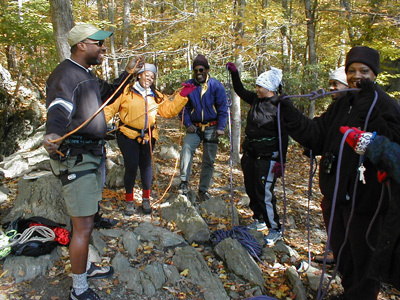 The way to greater outdoor fun and excitement is through a Journey Class. Each class provides the equipment, fundamental knowledge and skill to get you on your way so you can pursue your outdoor desires with ability and confidence, whether alone or with others. With each class you will learn how to do an activity and to do it safely. 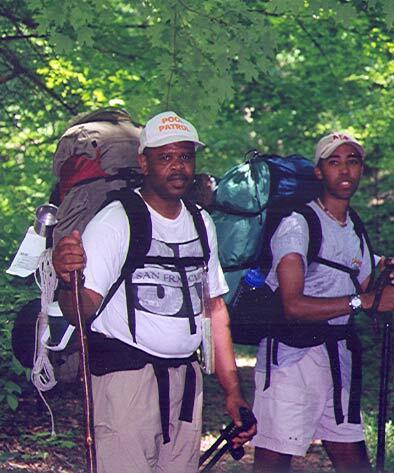 Many of our members have matured from novices to experienced outdoors persons. 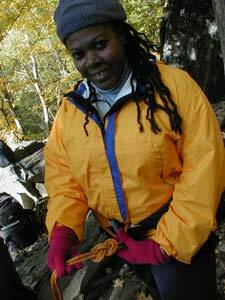 If you have the desire to be more than a beginner in outdoor activities our classes will give you the start you need. Chose a Journey Class with confidence. See if climbing is for you; attend an Open Climb at Earth Treks Climbing Gym (directions) on any Saturday during the month of December between the hours of 2:30 PM and 4:30PM to observe (free) or try climbing ($5 per climb). 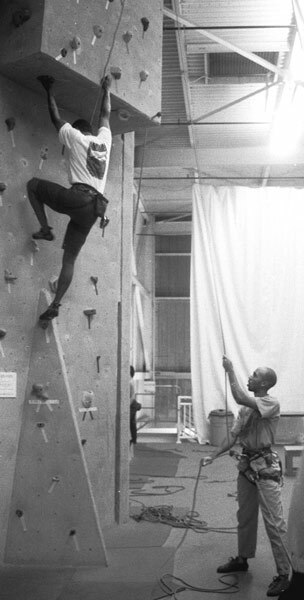 The first week in January we will take the Intro to Climbing Class as a group, the following week we will take the Intro to Movement class; thereafter we will meet each Tuesday, Thursday (evening) and Saturday while continuing climbing lessons with our climbing instructor. 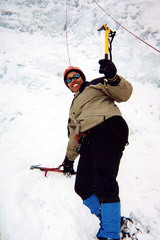 Should you decide to climb with Journey send your registration fee along with the Registration Form. Itinerary: We will head to New York on Friday; spend the evening getting settled in and explore our surroundings. Saturday and Sunday we will learn ice-climbing under the skillful leadership and guidance of Ed Palen and the staff of the Adirondack Rock and River Guide Service, Inc. During the evening we will enjoy the warmth of a fireplace and each others company as we revel in our new skill and the excitement of climbing frozen waterfalls. On Monday morning we will pack up and head home. Other activities - including hiking, snow-boarding, and skiing - are available. 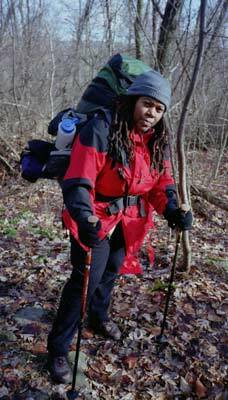 Itenerary: This two day (weekend) class will get you up to speed on all the ends and out of backpacking and camp-making. 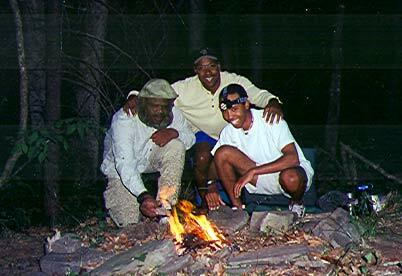 Learn how to be outdoors in the wilderness safely and with comfort and with confidence. You'll learn trip planning, map reading, pacing, how to chose and establish a campsite - including tent pitching, camp-cooking, camp-fires, and safety proceedures. This class is especially great if you are planning to spend time backpacking and camping on vacation, as a regular activity, or just to experience the excitement of backpacking and camping. This class also makes for a great weekend mini-vacation. Cost:TBA. Cost includes backpack, tent, sleeping-bag, food, water and round trip transportation from the meeting place. Registration: Prepaid registration is required. $25.00 non-refundable fee for cancellations. A maximum of four students per class; a minimum of two students for the class to occur (in the event a class does not take place a full refund will be made). Locations: Classes (and Camping locations) are easily accessible from the Maryland (including Washington DC), Northern Virginia, West Virginia, and Southern Pennsylvania areas. We may not have the ocean surf like California to get us going but we do have the wind. Windsurfing is an exciting water-sport that's sure to give you a rush, and you are encouraged to join us in learning windsurfing and putting our talents to use. Join us for a six-hour course (3-hour each day) on fundamentals of Windsurfing. By the end of the class you will be able to handle your own windsurfer with confidence and success. You'll learn navigation, sailing theory, safety, and self rescue with the most state-of the art windsurfing equipment and a proven U.S. Sailing curriculum. Itinerary: We will spend two days (10:00 AM - 1:00 PM each day) learning windsurfing and having fun on the Gunpowder River. Requirements: basic swimming skill / must be comfortable in water. Bring swim clothes, thin sole water shoes, food, and water. 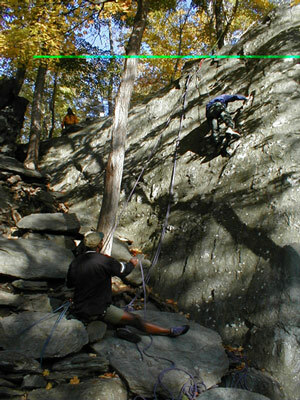 Learn the fundamentals of climbing- including theory, safety, equipment (gear), rigging, climbing techniques, environments (locations and terrain [indoor and out]). 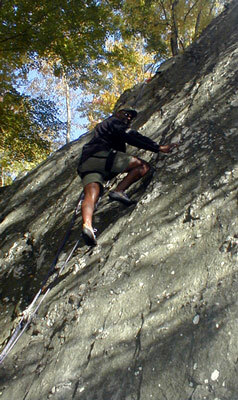 Refine your climbing technique and abilities; also learn to top-rope and climb solo. Cost: $200 per 9-hours class. There are three 3-hour sessions per class. 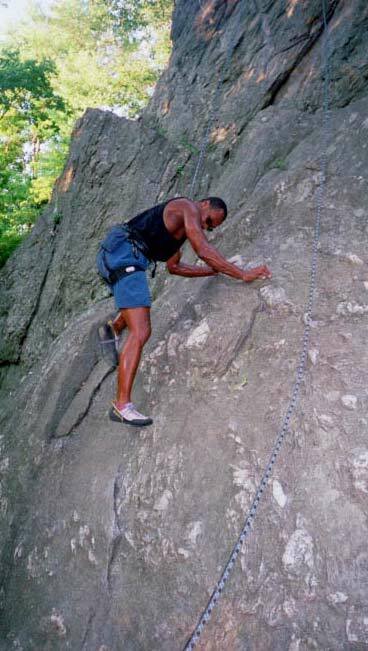 Locations: Classes (and Climbing locations) are easily accessible from the Maryland (including Washington DC), Northern Virginia, West Virginia, and Southern Pennsylvania areas.